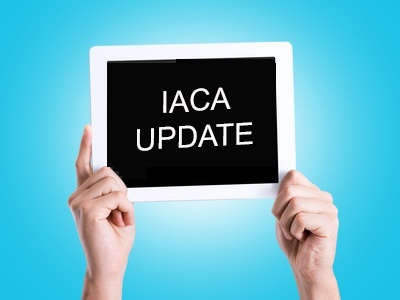 As indicated in previous blog posts, Benefit Corporations: Update from IACA and IACA Secure d Transactions Update, representatives of COGENCY GLOBAL INC. attended this year’s annual conference of the International Association of Commercial Administrators (IACA). In this post, we will share business entity updates that were discussed at the conference. Several states, including Arkansas, Indiana, Mississippi, North Carolina and West Virginia, are now working on or considering creating “one stop shops”, or portals, from which entities can form, apply for various business licenses, establish taxation accounts and handle routine annual/periodic compliance matters. Maryland has already developed a “one stop shop” portal that allows users to form business entities and create state tax accounts. The entity completes a single form on the portal and information flows through to the correct agencies. So far, the state has been pleased with the results as the portal has eliminated redundant review time, reduced the number of incoming calls to the filing offices and resulted in cost savings from the elimination of paper notifications of the annual report due dates. In a similar way, Louisiana has developed GeauxBiz, which is a single registration portal for new business formations that takes filers through the entire process from reservation to formation. It has resulted in 80% of that office’s filings being submitted online. The Secretary of State of Connecticut had been given the legislative authority to dissolve business entities for failure to file annual reports. That office will be administratively dissolving 20 years’ worth of inactive companies in the near future, as well as enforcing these provisions on a regular basis going forward. Identifying the beneficial owners of business entities has been a topic of ongoing interest for nearly the past decade. The Obama administration’s current proposed solution in the U.S. is for the Internal Revenue Service (IRS) to compile this information since it currently required on IRS Form SS-4, with the taxpayer required to update the information as it changes. This current proposal would require all entities to obtain a Federal Employer Identification Number (FEIN) which would enable the IRS to collect and maintain beneficial owner information accordingly. And with this proposal, the IRS will be able to share the information with law enforcement. The House Financial Services Task Force to Investigate Terrorism Financing recently held a hearing on “Evaluating the Security of the U.S. Financial Sector” at which witnesses testified in favor of requiring states to collect beneficial owner information. No legislation comparable to previous legislation proposed by former Senator Carl Levin has been introduced in the current session of Congress. Beginning in 2016, entities will need to provide a Register of Persons with Significant Control, which will appear on the Companies House registry. This will have the same information as the current Register of Directors, except that for both registers, Companies House is moving to month and year only for individual birth dates – for privacy reasons. There is a legitimate view that making this information available to the public, as in the UK, is actually desired by the business community. In the opinion of some industry commentators, businesses need to know this type of information in order to comply with anti-money laundering policies and regulations. Having this information readily available may actually help companies to know who they are dealing with, thus making doing business in the UK less risky. These are just some of the highlights of the interesting and helpful information COGENCY GLOBAL INC. hears by attending the annual IACA conference. We’ll be sure to continue keeping our readers informed of new developments like these regarding how filing offices manage business entity records.